Why Work With A Canadian Hubspot Partner? 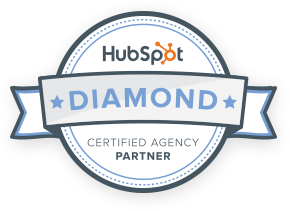 As a top Canadian HubSpot Diamond Partner, we work closely with HubSpot to offer our clients the most up-to-date & certified HubSpot best practices to all our clients. By working with an agency, you will have access to all our certified team members; our journalist-trained content writers, HubSpot CMS and WordPress web developers, UX designers, custom code wizards and marketing masters. On-top of that, our team will use other technologies to give you the edge, such as SalesForce, Moz, Databox, or LuckyOrange, to give you a leg-up, saving you the money and time you would need to use them yourself. We also have access to cool new beta features of HubSpot, before they're released to the public, as part of their beta program, ensuring we are fully versed in the new features, by the time they are released to you.